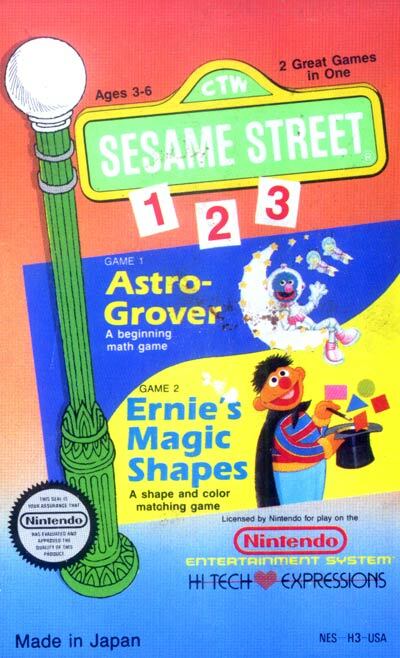 This math learning title includes 2 games: Astro-Grover: Children play with Grover and the Zips from planet Zap by counting, adding, and subtracting Zips to help improve basic math skills. Ernie's Magic Shapes: Children work with Ernie to practice matching shapes and colors in the problems he presents to them. Ages 3 to 6.